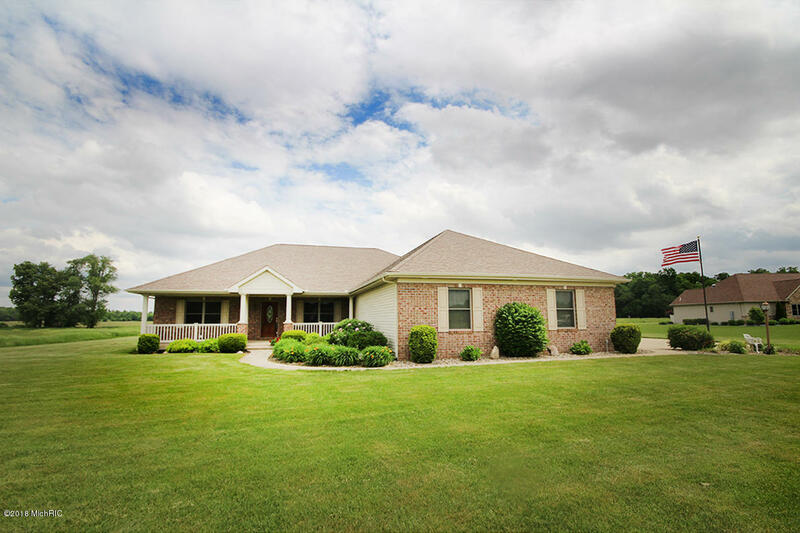 Handsome Brick ranch on 5.6 aces in Southfork subdivision. This home offers cherry hardwood flooring, split bedroom design, dream kitchen with built in appliances and granite counter tops. Breakfast nook overlooks the wildflowers and open prairie, screened in back porch and a nice sitting patio. 2 car attached garage and a 1 car detached garage with work area. Full cement driveway and underground irrigation. Immediate occupancy. Southfork is located just minutes to Elkhart and Granger, Edwardsburg school district.